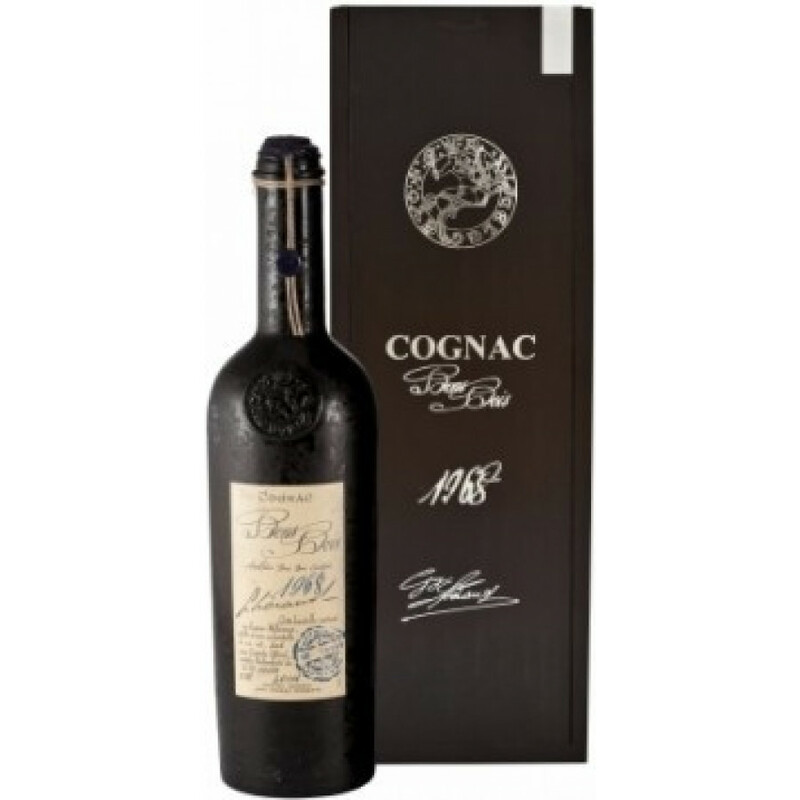 The Lheraud Vintage Bons Bois 1968 Cognac has so much to offer. Let's start with the fact that it's a true trip back into the past, as this is an eaux-de-vie that was harvested in the year 1968. That alone makes this Cognac special, but there's more. The grapes were grown in the smallest terroir of the Cognac region - Bons Bois. And if you've not yet discovered the unique taste of such a Cognac, then this would be a wonderful choice for an introduction. The Cognac is strong and intenste (at 46°), yet well-rounded and balanced. Lheraud Cognac are master's at producing such Cognacs, and they present them beautifully. The bottle is dark colored, hinting at the mystery contained within. And to finish it off it comes in a black presentation box. A perfect gift for any Cognac lover.